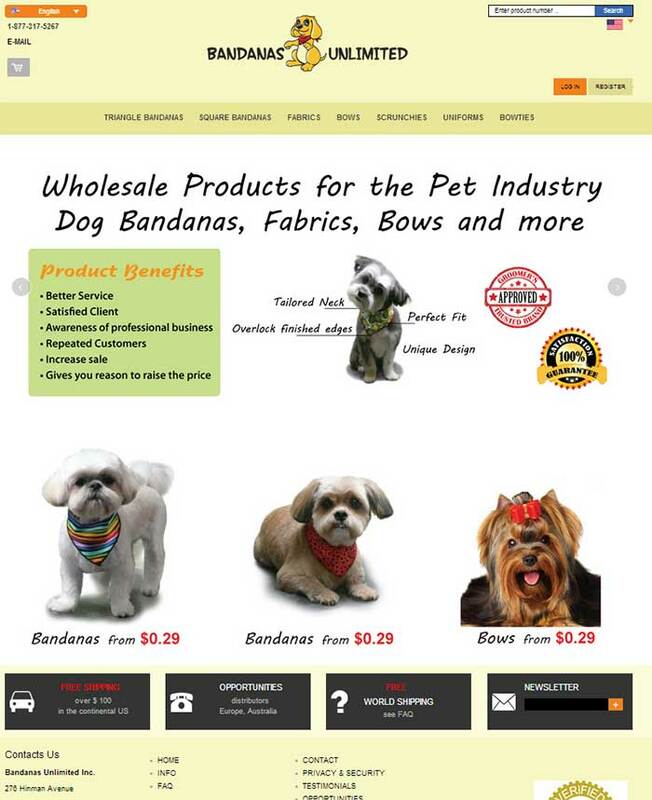 A popular website for Pet accessories, the company is based out of Buffalo, NY and is manufacturers and wholesalers of Dog Bandanas, Dog designs fabrics and Dog bows. Platina IT did complete design and development of the website using Magento community edition and added many custom coding features for special sales and promotions. Designing and developing websites; trust PlatinaIT for your every IT need. We will help you to create a stellar online presence. Call on (416) 273-7206 to discuss your online business needs with us.